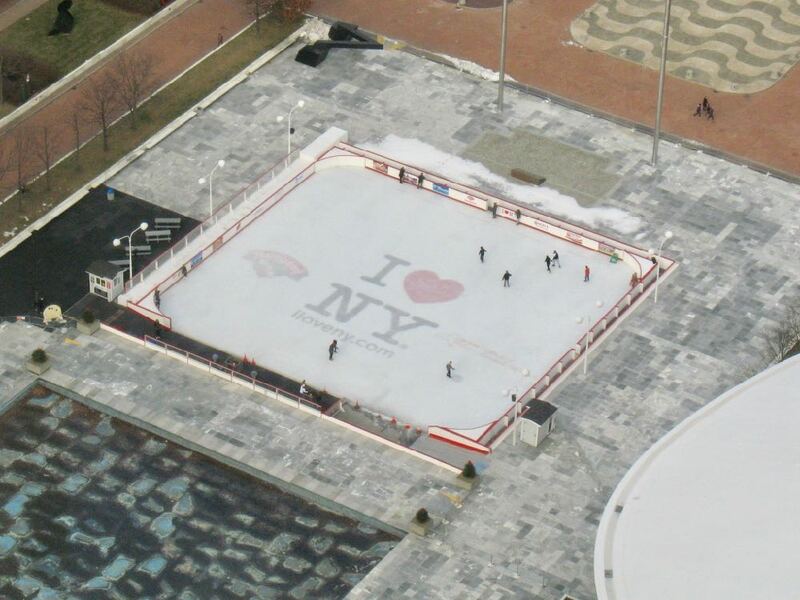 The ice skating rink on the Empire State Plaza is scheduled to open November 30, the state Office of General Services announced today. Opening day will start that Friday at 4:30 pm and run until 8 pm. There will be free skate rental throughout the weekend. And opening day will include live music. All that, of course, is weather permitting. The ESP ice rink will then be open seven days a week (weather permitting). And this season's hours will be noon-8 pm, closed daily from 3:30-4:30 pm for maintenance. Skate rental is $4 for adults / $3 for kids 12 and under. A photo ID is required to rent skates. And this season free skate rental day is Saturday (it's been Friday in the past). There's no fee to skate. The rink also hosts a series of learn-to-skate clinics. The first one is December 1. They usually fill up fast, so register for a spot if you're interested. By the way: The annual tree lighting / holiday festival activities on/near the ESP are December 2 this year. Do you need the ID on the free skate rental day? Wondering what people without ID are supposed to do. @K: I would imagine they do, as a sort of collateral. Good question though whether the rentals are free or not.